With the development of technology, our lives are greatly simplified, and even the struggle against dependence can now be easier. 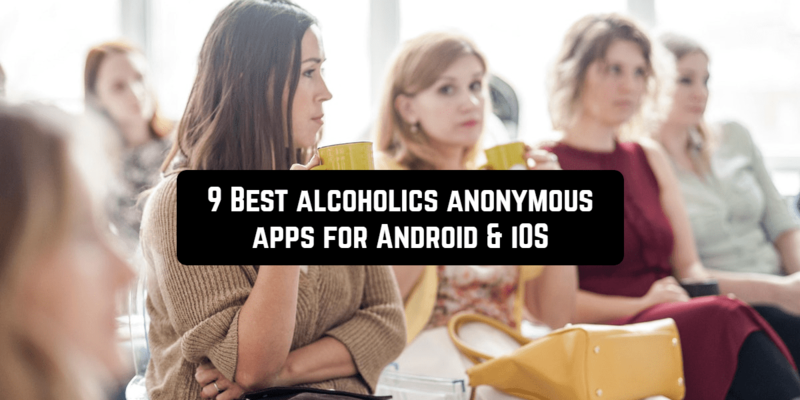 In this article, we reviewed the most popular mobile applications for anonymous alcoholics. 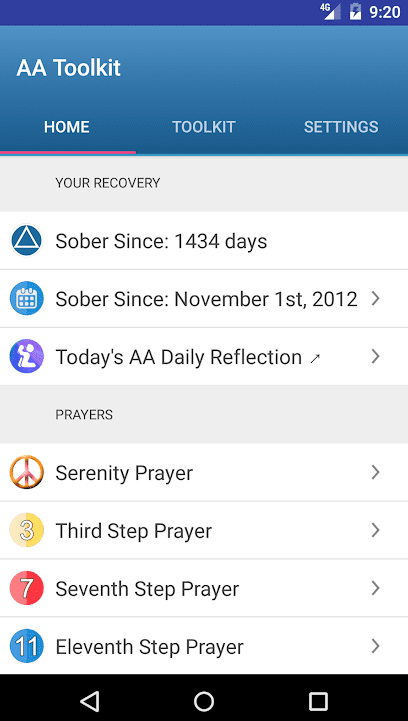 AA Audio Companion will help you to give up drinking alcohol. Listen to audio tracks and speaker tapes. There are more than 1000 audio tracks, 500 speakers, 350 hours. And it really works. The application contains many helpful topics. 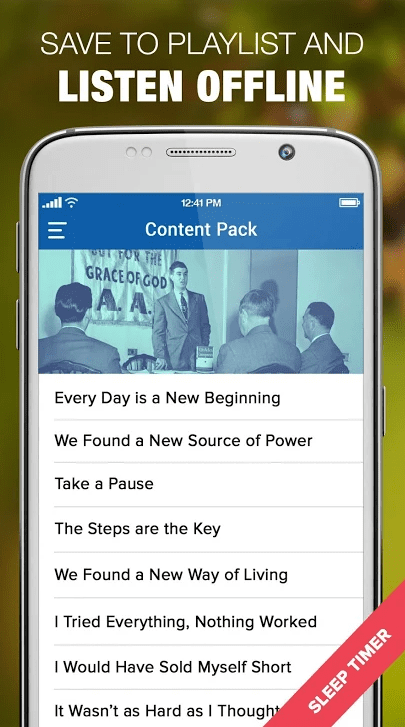 New content is added monthly. You can even set your own playlist for your specific problem. There is also a text version to read. The app works in offline mode too. You are not alone in your struggle. Listen to testimonials from other people who had alcohol dependency and fought it. 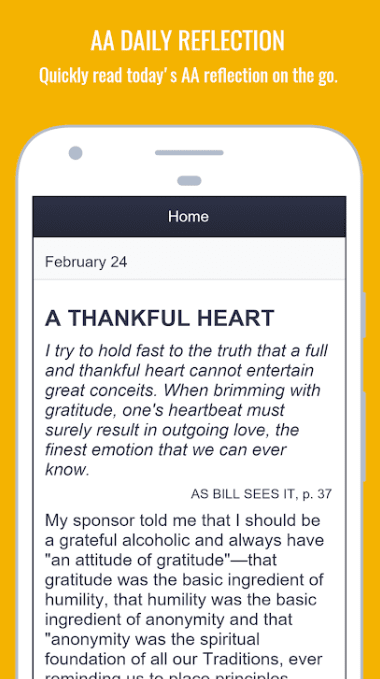 This app will provide relief for its members who struggle on a day-to-day basis. 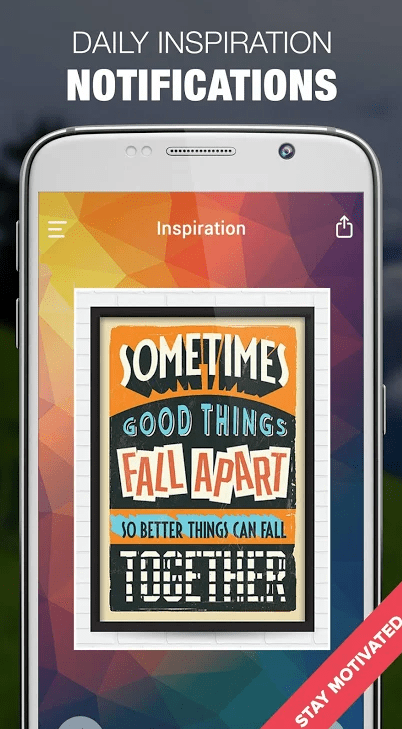 To stay motivated you will get daily inspiration notifications. 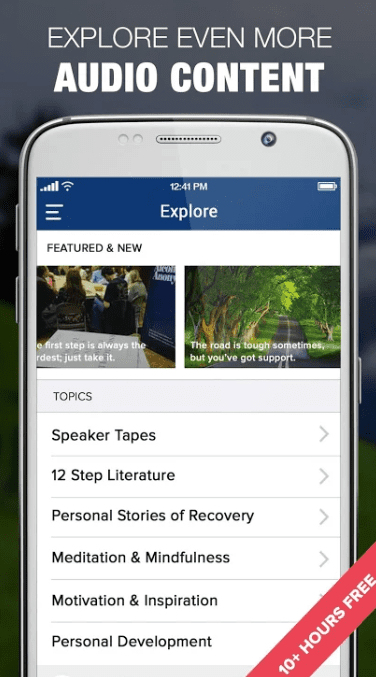 If you think that you have problems with drinking, or that drinking alcohol has reached the point where it starts to bother you, then most likely you will be interested to download AA Audio Companion for Alcoholics Anonymous and get the help it offers. If you think that you have problems with drinking alcohol and sincerely want to stop drinking, then thousands of men and women will be able to confirm to you that 12 Steps Alcoholics Anonymous has helped and that there is unlikely to be a reason why it should not help you. If you have a desire to find what it offers and a willingness to make an effort to get it, then you are ready to take certain steps. Steps are attempts by the first AA members to describe their own experience of transitioning from uncontrolled alcohol abuse to sobriety. The key factors in this, it seems, are humility and the hope for power more powerful than our own. Since the time drinking alcohol was clearly stronger than us, we had to admit that we probably can not cope with it on our own and it makes sense to ask for help somewhere else. The application also includes a sobriety calculator, AA literature, and the AA Big Book Textbook. The Twelve-Step Alcoholics Anonymous program has been the main method of treating alcoholism in the United States for more than 70 years: doctors prescribe it. This is the most effective program for the treatment of drug addiction and alcoholism. It includes work on transforming the personality of a person suffering from the dependence into a person recovering from this dependence. 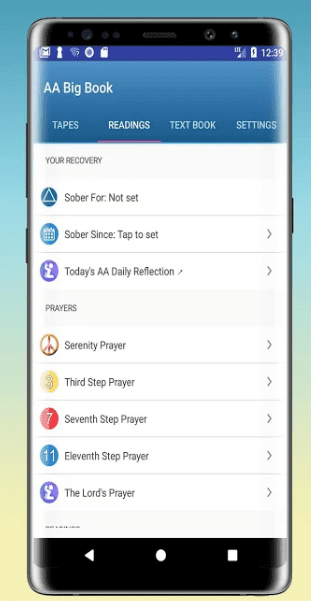 AA App – 12 Steps Toolkit – Alcoholics Anonymous helps to work steps 10 and 11 on a daily basis. The app has a built-in calculator. Here, you will mark how many days you no longer drink. 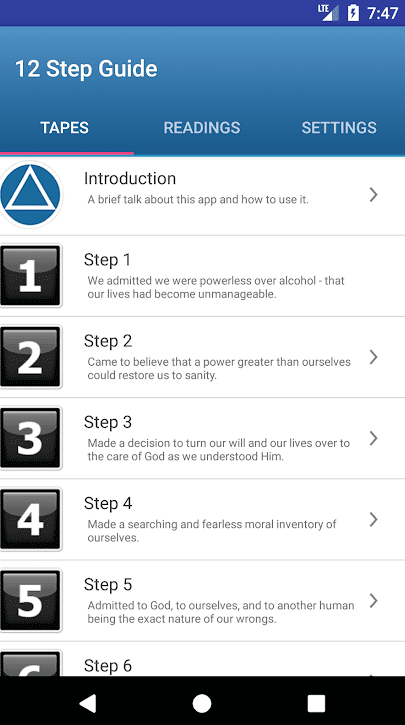 The wisdom of anonymous alcoholics is now always at hand thanks to the application of AA App – 12 Steps Toolkit – Alcoholics Anonymous. 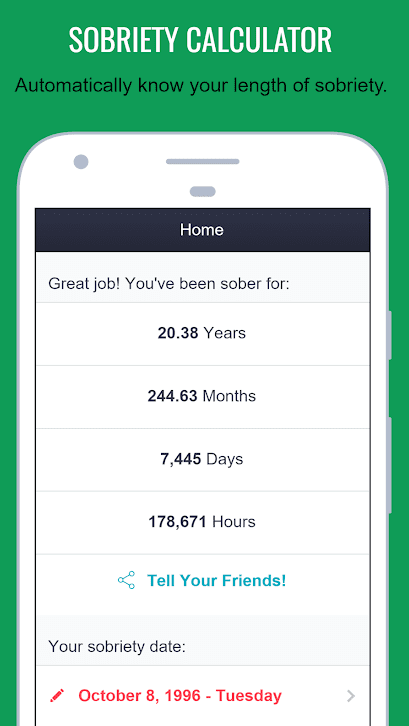 In addition, the tool includes a sobriety calculator, through which you will always know how many days you live without alcohol. As you know, a lot of people have problems with alcohol: someone just drinks a lot of beer, and someone’s day can not end without a bottle of strong alcohol. However, not everyone is able to speak about the problem, although it is an awareness that is the first step towards getting rid of alcoholism. If you feel that every day you want to drink something strong and you want more and more, and going to the narcologist seems to be something shameful, you can use the usual application for a smartphone Daily AA Speakers. You can listen to 5 minute AA speaker tracks daily It is like attending meetings will help you to bring recovery closer each day. 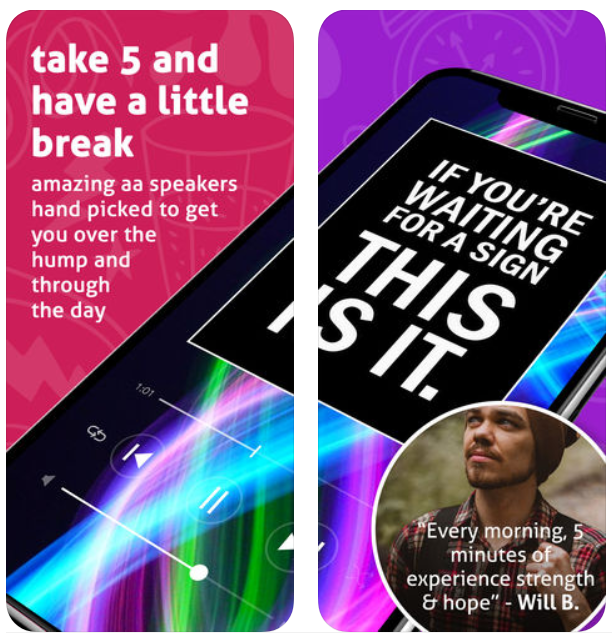 You will get daily motivational notifications to listen to AA speaker. Also, read daily inspirational quotes. It really works! Try! 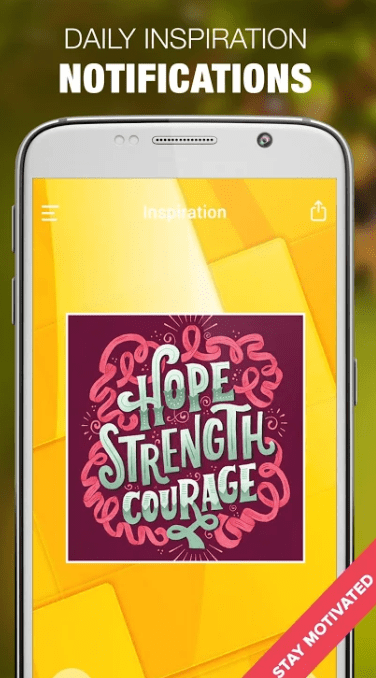 Pink Cloud is a smart tool which helps you to stay sober. It connects more than 100, 000 Alcoholics Anonymous worldwide. Be sure, it’ s completely anonymous. 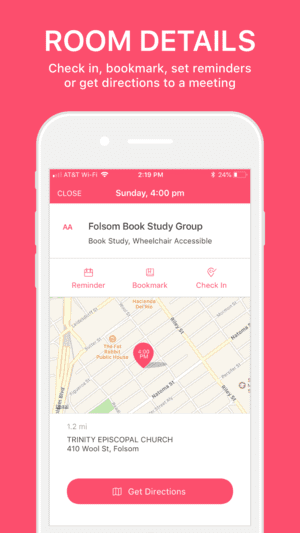 You’ll be able to find meetings in your area by the time of day or use a map view. 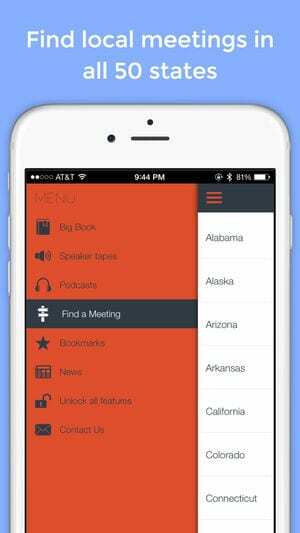 Check-in, bookmark, set reminders, or get directions to the meetings. Meetings are only one of the Pink Cloud features. It offers several other helpful tools. Addiction to alcohol can persist for quite a long time, depending on the severity of the disease. This application does not apply to those specialized to combat alcohol dependence but can be very useful. 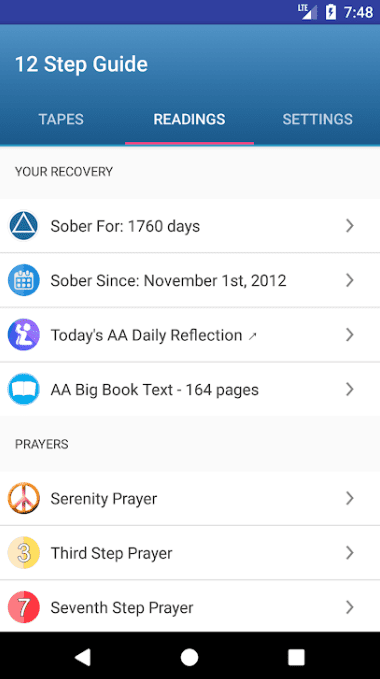 This application contains the full text of the “Big Book” of the community of “anonymous alcoholics”, and also calculates the duration of a sober lifestyle. 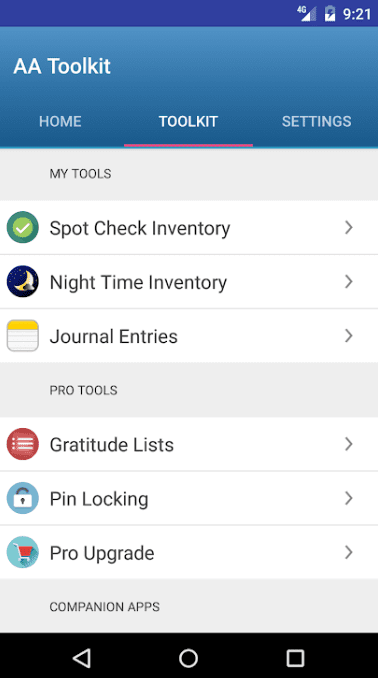 The AA 12 Step App can perform like your diary app. Write down your short notes in the Journal. You can edit them if needed. The first step to recovery is the awareness of the alcoholic himself that he has an addiction. When this stage is overcome, we can say that the path of recovery has already begun. The AA 12 Step App is a useful companion on this way. 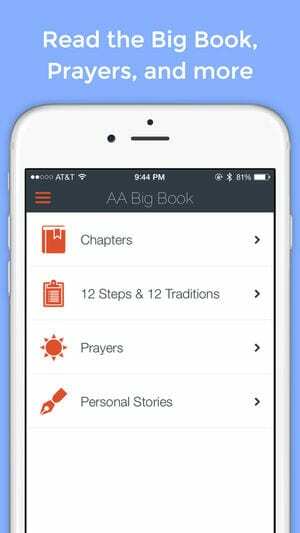 AA Big Book Audio & 12 Steps Recovery Companion will help you on the way to a healthy life. You can not wait for immediate results, but this doesn’t mean that your belief in a miracle does not matter. When a person has moral support, he easily returns to lost values, again begins to see the colors of life. Already without alcohol. 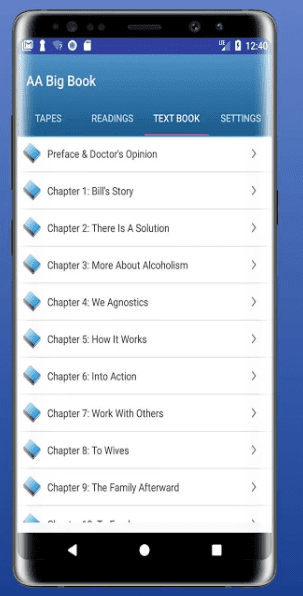 Big Book Alcoholics Anonymous is a must have app for those who want give up drinking alcohol. It contains a number of materials that in theory can help potential patients in getting rid of an addiction. There are detailed instructions from both former alcoholics and professional narcologists. The overwhelming majority of the approval reports indicate that the service has a very positive impact on users.